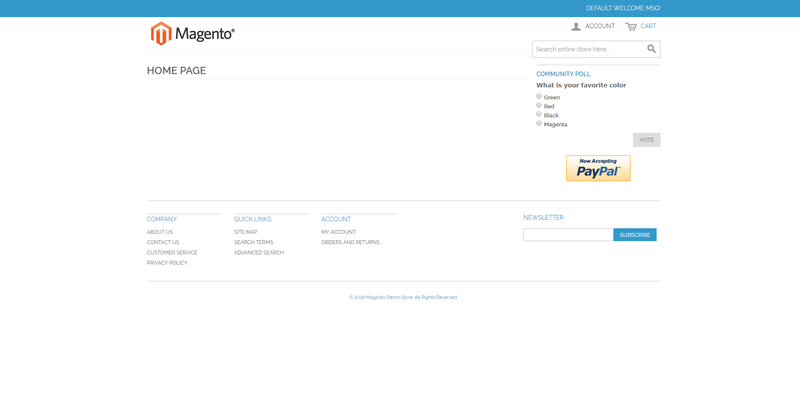 Magento is an open source eCommerce platform developed by Magento Inc and now acquired by Adobe. Magento allows complete control of your online business. Managing all information relating to products, customers, stock, orders and payments. The Magento community provides a large number of third-party extensions, both free and paid for which extend the functionality of the core product. 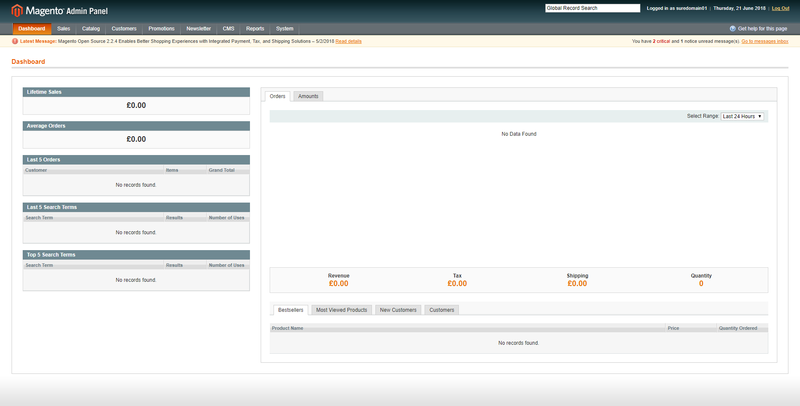 Host-it™ can also provide PCI Compliance Scanning for your Magento web site to ensure you site is compliant and secure. Magento v1.x is supported and can run on any of our Linux Virtual Hosting plans, however, due to the high resource requirements of this software we recommend that Magento be run on a Linux VPS/VDS or Dedicated Server which supports both v1.x and v2.x in order to give an optimal user experience and to achieve the best performance for your site. 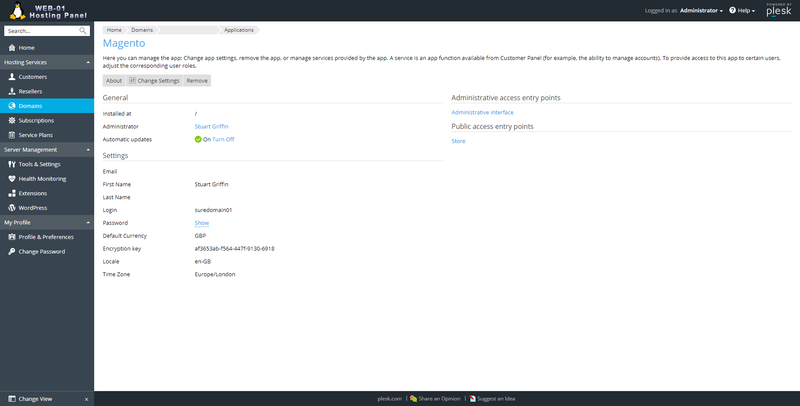 To sample the user experience for yourself please try our demonstration. These are Magento sites which have been loaded with 10,000 sample products. If you are having trouble making your Magento installation perform as it should, contact us for expert advice. 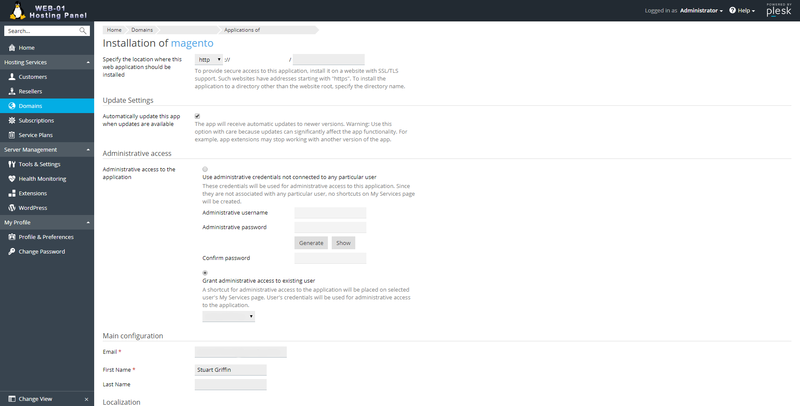 How easy is it to auto-install Magento from a Plesk Control Panel (inc. with Virtual Hosting)? 3. Welcome to your Magento installation! 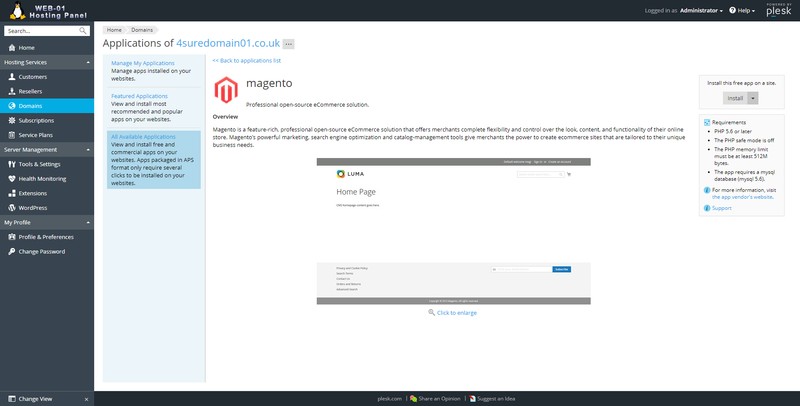 Magento and the application installer are available on all of our Linux Business Hosting packages.